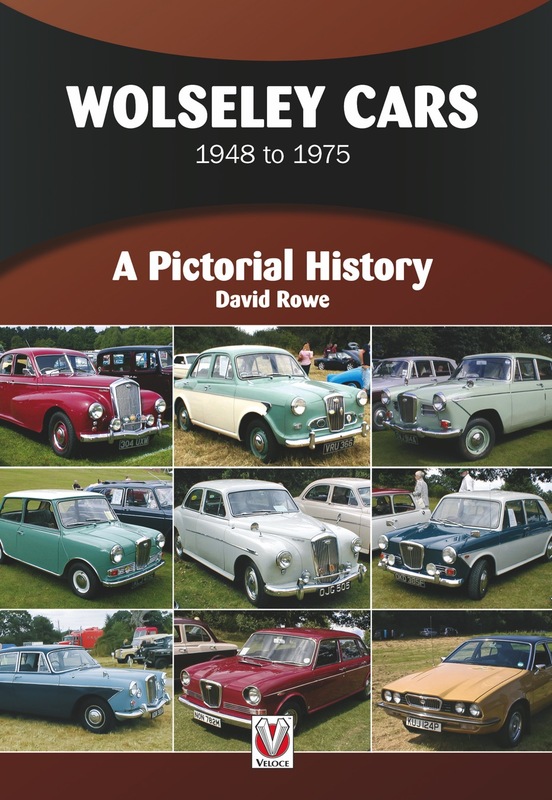 If you ever owned a Wolseley then this book is a must for you with illustrations covering all models and many of the colour schemes that were available. The illuminated Wolseley radiator grille badge first appeared in 1933 and remained until the final Wolseley 1800/2200 in 1975. Always associated with a luxury finish the earliest post war cars were the 6/80. If you ever watched TV programme Dixon of Dock Green you may well have seen Wolseley Police cars complete with a bell in front of the radiator. The Wolseley 4/44 saloon was designed by Gerald Palmer. He had left the Nuffield Group in 1942 but returned in 1949 after having worked for Jowett Cars of Bradford. 6 cylinder cars from the 6/90 to the 6/110 are covered, again these were favourites of Police forces throughout the UK. A baby Wolseley, the 1500, was launched in 1957 and proved popular despite no auto gearbox being an option. In 1961 a Mini Wolseley came on the market, this cribbed a 1930’s Wolseley name, Hornet, and was a luxury version of the Mini. Priced at £672 it found ready buyers who wanted the front wheel drive performance of the Mini but comfort as well. Duotone paint colours were a distinctive feature at that time. One of the 57 Wolseley Hornet convertibles by Crayford is pictured. These were given away by Heinz in a competition for their products. David Rowe provides a comprehensive specification of eachof the models offered throughout the book’s range. A demisting panel was a dealer fitted accessory for some time as was a radio. He gives statistics of numbers sold during each model's production span. As ownership of Wolseley went from Nuffield to BMC and then BLMC the model range was slimmed down. Alec Issigonis, Mini designer, also produced the Wolseley 1100/1300 series followed by the famous Land Crab 1800/2200 series. I drove a Wolseley Six Land Crab for a time and the road holding was superb. David comes to the end of his pictorial story with the Wolseley 18/22, designed by Harris Mann of Triumph TR7 fame. Badge engineering killed off the Wolseley name in 1975 but the number remaining on our roads is a testament to its enduring popularity with the motoring public.